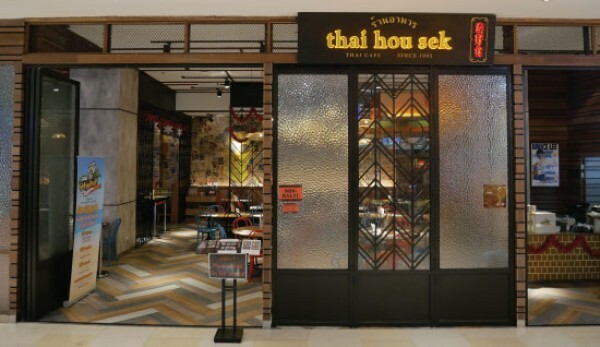 Thai Hou Sek is a contemporary Thai-Chinese restaurant that serves comforting porkilicious meals. Our dishes are mainly inspired and taken a notch up from the Thai street food that are too scrumptious to resist! Our menu emphasises on sharing plates from the popular Thai-Chinese usual suspects to unconventional porkilicious goodness with a local twist. Some of the savoury signatures to look out for: Babi-Q Pork Neck, Thai Grilled Babi-Q on Skewers, Super Green Curry with Thai Eggplant, Fish & Bacon in Manow Sauce, Siu Yuk Tom Yam, Tom Kha Seafood Soup & BKK Braised Pork. For those with sweet-tooth, feel free to dig into our wicked Chocolate, Bacon & Baileys and Thai Hou Yum mocktail. Thai Hou Sek is simply the perfect venue setting for any-time dining, be it quick work lunch, catch-up session with friends, dinner with loved ones or friends and/or family gatherings.